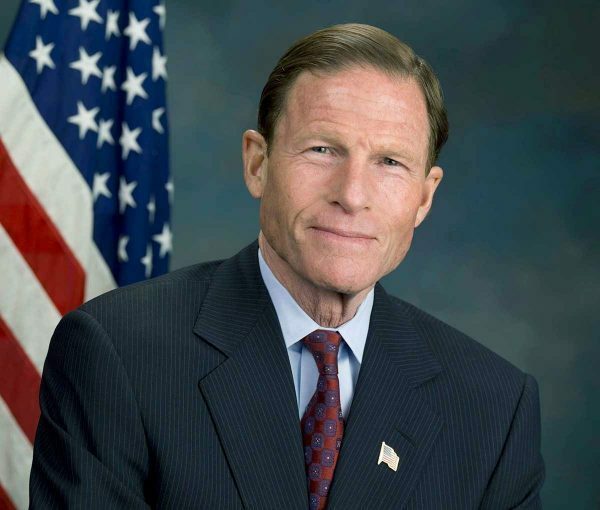 Since 2009, the year Interval House and US Senator Richard Blumenthal co-founded Men Make a Difference, Men Against Domestic Violence™ the group of prominent Connecticut men have distributed thousands of educational brochures and training materials, raised money for the cause against domestic violence, and spoken to thousands of area residents — mostly boys and young men. 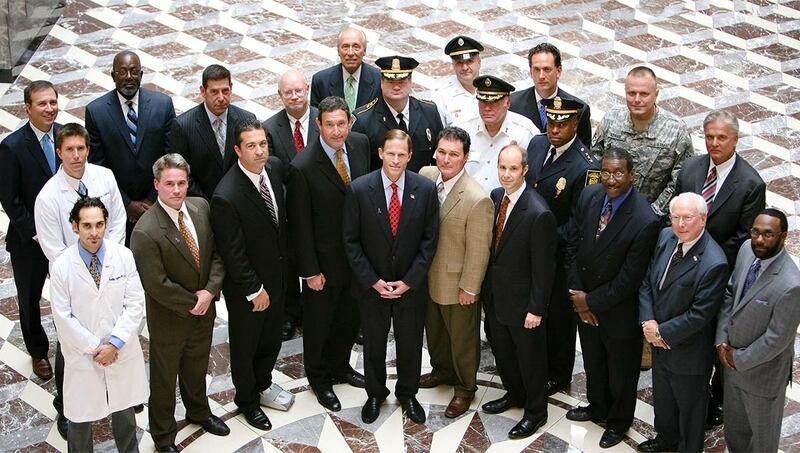 Their message and mission is clear: there is never an excuse for domestic violence. In 2019 we celebrate the 10th Anniversary of Men Make a Difference. for the first time at the State Capitol to dedicate themselves in the cause against domestic violence. 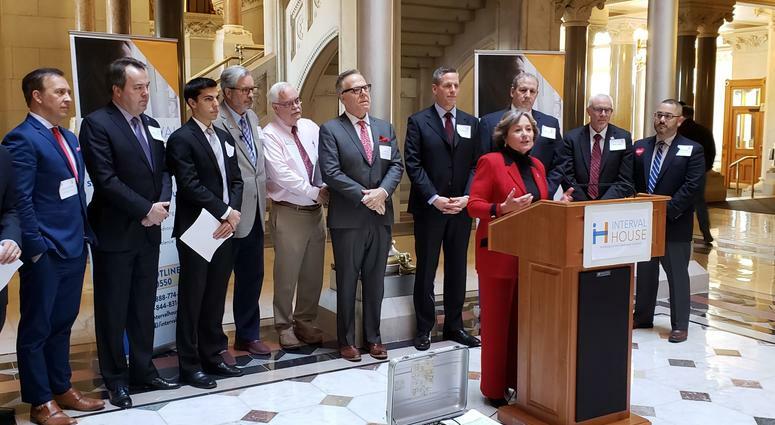 On February 14, 2019, President and CEO Mary-Jane Foster gathered with members of Men Make a Difference at the State Capitol in recognition of Teen Dating Violence Awareness Month. Members of the press gathered to hear Foster, Team USA Olympian Donnie Cabral, State Rep. Dr. William A. Petit, Jr., and Attorney General William Tong deliver the message that there is no excuse for abuse.